We are in the era where customers and users come first; regardless of what your business operations are, what type of services you provide, what type of products you sell, what type of mobile app or website you have, your users and customers are the most important part of your business. That’s why customer support has become a huge industry and companies all over the globe have been trying to find more and better ways to facilitate their customers. Businesses are trying to empower their customers because their active role can help businesses improve their products and services for other users. It’s a complete life cycle where customer support has correlations with customer feedback. 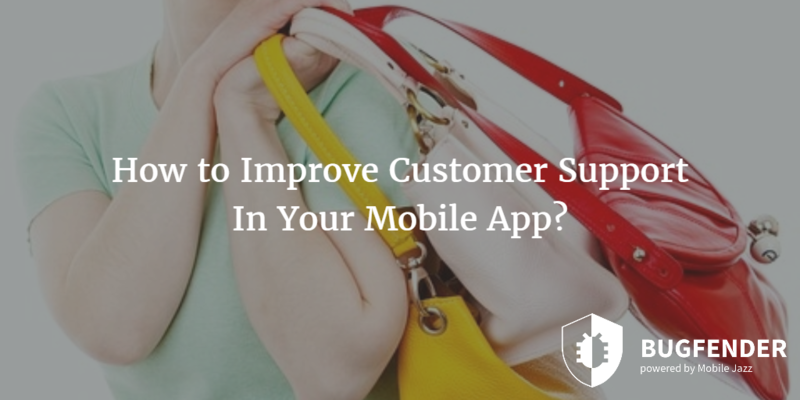 Let’s talk about improving customer support in your mobile app. Businesses who don’t see social media as a customer support tool, lose a significant proportion of their customers and users because according to some researches and reports, users who connect with companies using social media networks like Facebook and others spend more money on their products and services as compared to customers who don’t engage with companies. Now, this is a significantly big and important incentive for companies to have an active online profile. The activeness of that online portfolio is as important as the online presence itself. Social media help businesses and brands connect with their customers and provide them better customer care. Help Ticket is one of the most common, most popular and in some cases most effective customer support methods ever made. 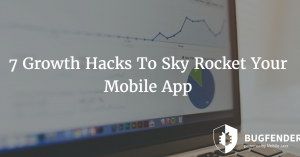 There are many advantages of using Help Ticket system in your app and these benefits are for customers as well as for businesses themselves. For example, customers can see the transparent progress of their issue and solutions, they can see the activities and steps taken by customers care agents and they can see the company is working on the issue. On the other hand, companies can use smart software for automatic analysis of the issues to predict the problems and work on them in the background to fix the issue on broad level. For example, if many of your users have generated tickets for a particular issue then it should be fixed for the whole community. That’s no brainer; Live Chat is an effective yet expensive tool for customer support. No doubt, it provides the efficiency and effectiveness yet its cost could be a problem for small businesses. However, live chat is not just limited to customer support and solving their issues but many businesses have successfully used it in the past for something else to take things to the next level. Instead of waiting for customers to initiate the chat, some companies offer their help and assistance via live chat. For example, some companies initiate the chat with their customers and this step not only creates a sense of customer care but also help customers find the products or services what they are looking for. In other words, it put the direct impact on the sales revenue. Community is a broad word that could refer to social media, online communities and even discussion forums. All of these methods are important for businesses and especially for brands. According to some reports, a significant proportion of the people want to join brand communities just because they want to be a part of the community regardless of their relationship with the brand. Always provide in-app messaging service; that means if your customer wants to contact support agent and wants some issue to be resolved then there must be a way to do that from the app itself. 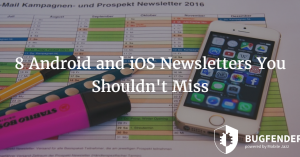 No one wants to copy the email address and send an email manually. Whether it is message, email, live chat or ticket, it should be inside the app so customers don’t feel left behind and vent out their anger on app stores by leaving bad reviews. Not every problem needs your attention and there are many things that could be done via FAQs. Of course FAQs is an older concept and if you want to do something better then knowledgebase is a more reasonable solution. However, it is not just about providing the information and solutions but the more important part is to make those solutions easily searchable. Encourage your customers to use the knowledgebase or FAQs section before generating a ticket or initiating a live chat. You need to resolve issues as soon as possible; of course this is Customer Support 101 but surprisingly many businesses do not put much effort here. Whether it is because of the cost or something else, businesses must do their best to provide solutions in timely manner. Make sure the customer support section or portal is easily accessible and if possible, it should be a part of the main interface so customers can initiate the live chat or other methods as easily as possible. How Bugfender Can Help You Improve Your Apps And Customer Support? As mentioned above, the correlation between customer support and customer feedback pushes developers to add more and better features regarding customer care so users can get help instantly when needed. However customer support shouldn’t be necessarily initiated by the users as there are smarter ways to deal with problems even before users find those issues. Bugfender provides a powerful and advanced platform where developers can see the performance and stability of their apps in real time. 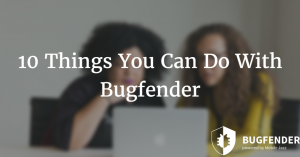 Unlike crash reporting tools, Bugfender does not exclusively focus on full crash but it also records abnormal behavioral patterns because of minor bugs. After the discovery, developers can fix those issues in next update even before users discover those; now this is the future of customer support. as_ford Created with Sketch. as_safedome Created with Sketch. as_websummit Created with Sketch. as_autodesk Created with Sketch. as_aimail Created with Sketch. as_sk_telecom Created with Sketch.